With his unique approach and individualized service, James DeMatteo helps clients maximize their wealth as they plan for their financial future. His philosophy is centered on a non-traditional way of structuring a plan which optimizes assets that might otherwise be lost. Going beyond traditional financial planning, James provides focused strategic planning which coordinates and balances what clients want to achieve with the options they can use to get there. As a Certified Financial Planner (CFP®) James meets the rigorous requirements of the designation, including a commitment to quality service and high standards. He has an in-depth understanding of the full range of financial tools and resources available, and uses them to guide clients through the steps of building and distributing wealth leading up to and well into their retirement years. With a career that started on Wall Street and evolved into insurance and financial services, James understands what's required to design a comprehensive plan that covers all aspects of an individual's financial health and well-being. And he uses an industry-leading planning tool to provide quality service through the various life and financial changes that arise along the way. The Living Balance Sheet® is a holistic financial model that makes it easy to recognize the long-term potential of every dollar you earn. It is an adaptable, always-evolving solution. The Living Balance Sheet® is an exclusive system and one of the many advantages James leverages for his clients. 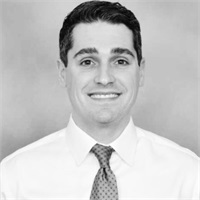 A graduate of the University of Hartford with a Bachelor of Science in Business Administration, James is also a member of The Association of Advanced Life Underwriting (AALU.) This ensures that he stays current on the latest laws, regulations and complex facets of the business that can impact short- and long-term financial decisions. It is further proof of his commitment to knowledge and education, which helps James provide the best possible solutions to his clients. Offering the best products, state-of-the-art technology and high-quality individualized service, James has built a reputation of designing and implementing plans to help clients accumulate, preserve and distribute wealth and maximize their financial potential.